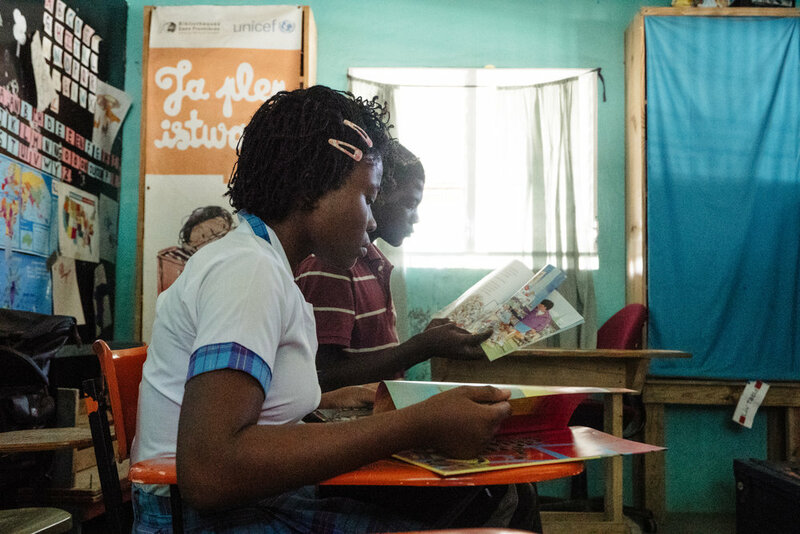 The Lifeline Library was established in January 2014 in an effort to further support the education provided at the Center Children International Lifeline d' Haiti. With just under 1000 books in a single room, the library immediately became a favorite place for the children to read and learn. Books were carefully selected to provide the best learning experience, despite the challenges of low literacy and very limited resources in the first language of the children. For any books in English, the goal was to spark interest and broaden the children's exposure to a variety of subjects--pictures and illustrations had to be engaging and enticing to make the cut. 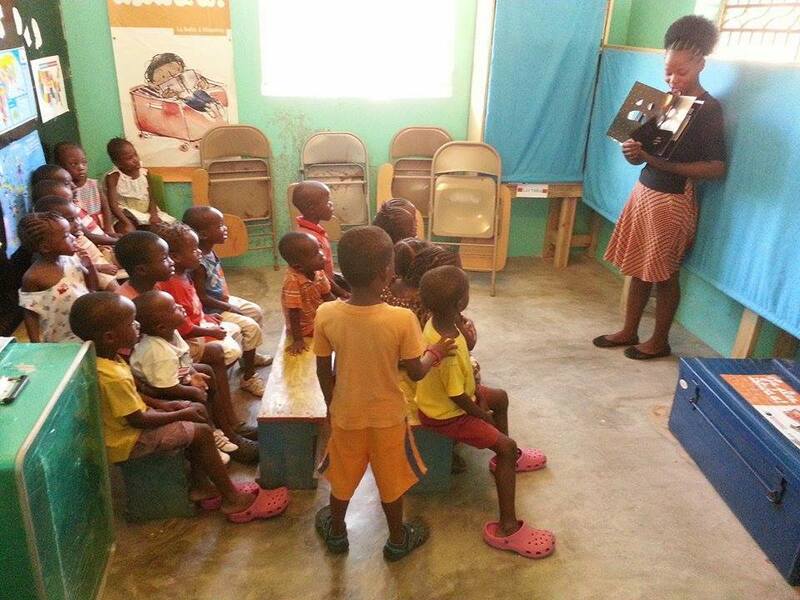 Creole language books, a much harder resource to find, have been sourced mostly from a publisher in Florida, Educa Vision, which develops, publishes, and translates books in the native language of Haiti--Haitian Creole. Although the Creole section at first appeared sparse, we now have a few hundred books including beginning and advanced readers, science, history, story books and reference books. In addition, there are also several bi-lingual books and a growing collection of French story books. Several of the books are also bi-lingual and some are tri-lingual, Creole, French, and English. Due to staffing constraints, the library was originally open to the children on a very limited basis. In September of 2014, with the promise of further financial support, Nicole, the founder and director at Lifeline, hired two librarians to ensure that the library will be staffed and accessible to the children on a daily basis. The librarians have proven to be an invaluable asset to the increasing literacy now observed in the children. Click on the Library Sponsorship photo above for ways to support the library. Click on the Donate photo above to contribute to ongoing library expenses. IF YOU ARE INTERESTED IN GIVING TO THIS CAUSE, PLEASE USE THE DONATE TAB AND DESIGNATE YOUR GIFT TO the library Fund.